One of the most important aspects of this blog has been to give voice to the experience and views of council estate residents, so often ignored, too often maligned. I’m pleased to feature today a post from Tom – in response to posts on Speke on the blog in April and May this year – who describes his own experience of growing up on the Estate and his views on the mistakes that were made in its planning and design. Thank you Municipal Dreams for remembering the Liverpool suburb of Speke: a forgotten part of a forgotten city. I was born in 1951 in, now demolished, Mill Road Maternity Hospital, Liverpool. My parents lived in the Dingle, a wartime bomb-damaged part of Liverpool 8, in a one-room bedsit with an outside toilet. They registered for a new city corporation rental house. For two and a half years my mother attended council surgeries for an update on the request. In 1954 we were allocated a two-bedroom house in Speke, on the city’s southern limit. Properties in Speke were several orders of magnitude better than accommodation most of its residents had lived in previously. Houses were well built, brick throughout, and had front and back gardens. There were indoor toilets and plumbing for hot and cold water. If you wanted hot water however, you had to light the coal fire an hour before: electric immersion heaters were some time off yet. Growing up as a child in Speke was idyllic. We lived on the northern perimeter road opposite a farm. Childhood was exploring woodland and playing ‘hide and seek’ in wheat fields. South of Speke was more farmland, more woods and the River Mersey, three miles wide at that point. The river was too polluted to swim in, but it had a sandy shoreline and off in the distance up river, an afternoon’s walk away, Hale lighthouse. What more could a child ask for? Speke Town predates the City of Liverpool, and had been fertile farmland for centuries. 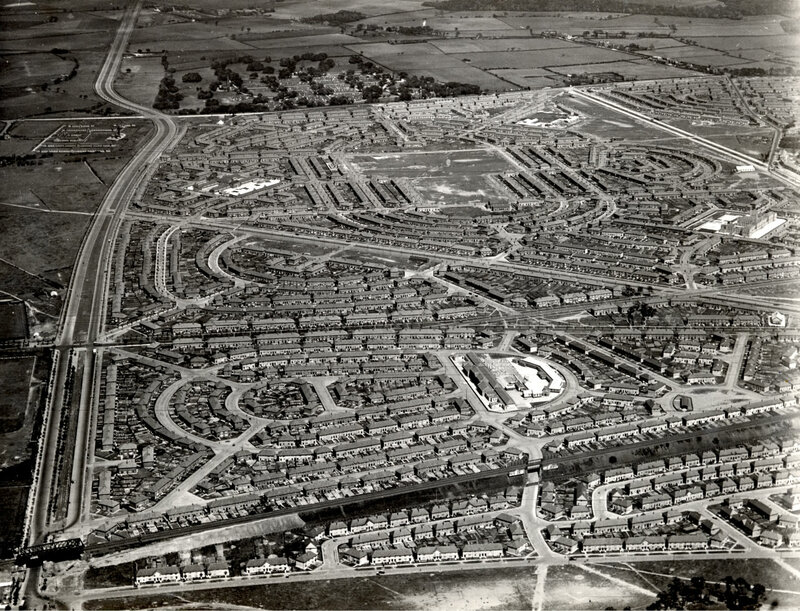 The genesis of Speke as a Council Housing Estate dates from the 1930s when Liverpool City Planners became enamoured with the ‘Garden City’ concept as a solution to the problems of a post Industrial Revolution inner city full of overcrowded slums. Plans were made for a ‘self-contained satellite town’. The desperate need for new housing was exacerbated by Second World War bomb damage and further hastened by the post war ‘baby boom’ population explosion. In the space of a few years (c.1938-1953), Speke mushroomed from a pre-war census of ‘400 souls’ to 25,000 people. In the process, any vestige of old Speke, or its farming history, was bulldozed off the map. Speke Town was buried under the intersection of the newly constructed Speke Boulevard and Speke Hall Avenue. Close scrutiny of the 1952 photograph, Dunlop’s factory in an earlier post, reveals that large chunks of Speke had still to be built, specifically the central shopping area known as the Parade. From memory, I was nine or ten years old before there were any central shops to go to. There were vans driving around Speke selling groceries, a practice that lasted until the mid 1970s. I have a cine film record. This ‘Garden City’ idealism never progressed beyond the drawing board. Houses were built and then the building stopped: schools, shops, churches and community centres, all took up to a decade to build. The promise of a ‘self-contained’ Speke went unfulfilled. The ‘Garden City’ idealism also contained an ill-founded assumption that city people would prefer to live in the country and could be transposed en masse. The ‘self-contained satellite town’ of Speke degenerated into isolated, urban, frontier country, still within the city limits, but a bus ride away from its nearest residential city neighbour. This ‘open play area’ (above) had been left fallow since the day the flats were built, twenty years previous. Within another twenty years, all the blocks of flats would be gone. Tenement blocks surrounding open play areas besotted Lancelot Keay, Liverpool City Council Chief Architect responsible for Speke, and a knighthood for his efforts. Watch Sir Lancelot make his case: Liverpool Tenements of the 1930s. Lancelot Keay was a nineteenth century dinosaur trying to solve a twentieth century problem. Speke residents didn’t share his enthusiasm for living in tenement blocks. By the 1980s, just thirty odd years after they were built, low-rise blocks of flats in Speke lay abandoned and derelict awaiting demolition. Structurally they would have been good for a hundred years, but within less than two generations they were considered not fit for purpose. People didn’t want to live in them. People wanted to live in houses. 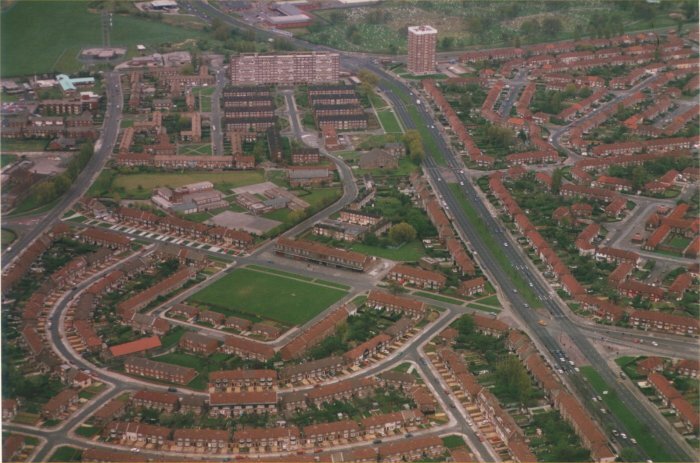 All the low-rise blocks of flats in Stapleton Avenue and Ganworth Road (photo above), East Mains, West Mains, Millwood Road, Alderwood Avenue, Central Avenue, Central Way and Conleach Road were demolished and replaced by houses with gardens. Testament that ‘tenement blocks surrounding open play areas’ was a failure. In the mid ’70s I made a cine film record of Speke. It was an Art School rant intended to show the estate in a less than favourable light: not a difficult task. The irony is that it has become historically significant, as less than half of what was filmed still exists. Above is a street view of Ganworth Road with Speke’s signature three storey blocks of flats either side. It may look odd, from a 2017 perspective, to see two children and a toddler wandering around unaccompanied, but it was nothing out of the ordinary in the 1960s and 1970s. The legacy of living in flats was that children had no back gardens to play in, and resorted to playing in the streets. This concrete eyesore, above, is a 1960s’ interpretation of a children’s play area. By 1974 it was condemned by the National Playing Fields Association as grotesquely dangerous and only fit for demolition. The low-rise blocks of flats behind (West Mains) would soon join it awaiting demolition. The ‘baby boom’ years were followed by a shift to smaller families. This left a problem for Speke: what to do with all the three storey ‘large family’ houses, of which there were many. After abandonment, these were reduced to two storeys. The section of Speke in the aerial shot (below) was built in the 1950s, but I doubt if anyone younger than forty can remember it as such. Half of what you see is no more. The white roofed rectangular buildings, centre, was All Hallows Secondary School, boys and girls, now All Hallows Drive houses. The school was demolished, not enough students. The open space two blocks above the school was Speke Park, now Morrison’s shopping precinct. The retail hub of Speke shifted from the centre to its edge to access Speke Boulevard, top right diagonal. Fords [Jaguar/Land Rover] off picture, right. To the left of Speke Park is the ‘open play area’ behind the flats, in the top photograph. The main road in the picture, top to bottom, is Stapleton Avenue / Alder Wood Avenue which runs east-west. Just visible at bottom right of the picture is Eastern Avenue. Check Google Maps and see what little remains. For ‘Beatles’ cognoscenti, the street second from the bottom, on the left, is Ardwick Road, the McCartneys’ second residence in Speke (1950-1955). Half way up on the left is Upton Green, surrounded by three storey blocks of flats, and home to the Harrisons (1950-1962). George Harrison and Paul McCartney spent most of their formative years in the Liverpool suburb of Speke (George 12 years, Paul 9 years), but you have to look hard in the plethora of biographies to find any mention of their early childhood in Speke. Phoney Beatle mania has produced two ‘Caverns’ in Mathew Street, but ‘Beatles’ tour buses don’t go anywhere near Speke. In the early 1960s, the Ford Motor Company car plant [now Jaguar/Land Rover] replaced the farm on the northern side of Speke. 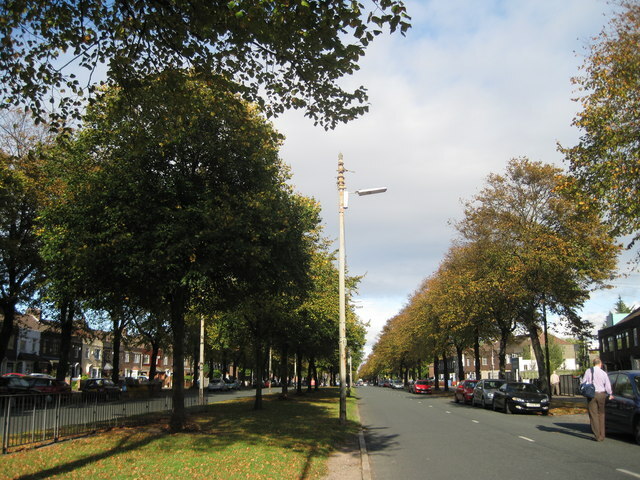 Speke Boulevard, forever known to my generation as ‘Ford’s Road’, was extended to run between the car factory and the estate, for the full length of Speke and beyond. To compound Speke’s isolation, this arterial road prohibited pedestrians for five miles or so, all the way to Widnes. One of the consequences of this pedestrian prohibited road was that it separated the factory from the workers arriving by bus at the Eastern Avenue bus terminus. There was an underpass 200 yards away, but for whatever reason, people insisted on making their way through the fence to cross the road. This conflict persisted for thirty odd years until the terminus relocated to Morrison’s at the new shopping precinct. Progressively stronger fences were built with ever more ingenious ways found to get through them. It would have been cheaper to build a footbridge. I viewed this perennial conflict as individual protest against imposed isolation. When I visit Speke, the difference I find most striking between now and even up to the 1980s, is not the missing or changed dwellings, but the amount of trees there are. Driving along Speke Boulevard is like driving through woodland. Trees now obscure all the sight lines of my childhood memories. Belatedly, the city has made amends for wiping a thousand years of history off the face of the earth in Speke’s construction. I cannot see, or remember there being, a single mature tree in the 1963 aerial photograph of Speke. The 1960s’ Speke of my teenage years was a depressingly bleak, isolated, rectangular Gulag, devoid of any sense of history or community, built to house factory fodder. By the time I was sixteen, my life’s objective was to get out of Speke. Three years later I went away to Art School, never to return. I did visit, but never lived. My Mother, give her a medal, is still there: Speke resident for 63 years and counting. (RIP Father, 2010). All the properties were solidly built with brick throughout. The estate was built before the advent of the ubiquitous high-rise tower blocks that blighted other estates. The failings however were legion, chief among them was that it didn’t comply with the house buyers’ mantra of ‘location, location, location’: Speke Estate was built in the wrong place. Its isolation was, and remains, its handicap. If there are Town Planners out there who still adhere to ‘self-contained satellite town’ thinking, I will happily maroon them on the eastern edge of Speke, without a car, to experience what isolation feels like. Speke’s contribution to town planning dogma is a nail in the coffin of the ‘Garden City’ concept. Speke was designed as a solution to a problem, but resulted in generating its own problems. Speke planners may not have anticipated the changing shift in family sizes, but they are guilty of not ensuring that Speke would become a solution. Speke could never develop as a community because Speke was never self-contained. If you wanted to do anything, you had to find somewhere else that catered for your interest. The founding vision of Speke as a township ‘planned to accommodate all classes of the community’ was as delusional as its ‘self-contained’ status. Speke, and all the other post war housing estates around Liverpool, were not communities, they were overspill. In the absence of any community identity, people from Speke, and all the other Liverpool estates, were perceived differently. In a time of full employment, people living on estates were not accorded the ‘working class’ designation, but were thought of in the then unused demographic of ‘underclass’. Like the estates themselves geographically, people from the estates were regarded as ‘peripheral’, not part of the mainstream. You came from ‘an estate’. It didn’t matter which one, we were all tarnished with the same brush. I lived all my teenage years with this, and left at the first opportunity. My parents tried for years to get out of Speke, but eventually resigned to staying when they were able to buy their house. My siblings left Speke, and Liverpool. I took it a stage further and emigrated. I still talk ‘Scouse’. My accent was set in concrete by the age of six, and I have yet to find an alternative that I would want to emulate. I still follow Liverpool FC from a distance, but I could never live there again. Morrison’s precinct in Speke, and the Liverpool ONE complex, are commendable and possible turning point improvements. The irreconcilable is remembering the fifty years it took to get to there. The Orient is the last remaining pub in Speke, and worth a visit if just to see a bar dedicated to both Liverpool and Everton football clubs. It is difficult to say how much longer The Orient can last. For decades, supermarkets in Britain, Morrison’s included, have been underpricing pubs out of existence. Speke Estate is suffering the malaise experienced by small towns after a bypass is built. The fulcrum relocates: people leave, schools close, pubs shut, churches downsize. Speke in the 21st century has half the population it had in the 1950s. St. Christopher’s Church (capacity 1,000) has the distinction of being built and demolished in a single lifetime. Schools are torn down as the numbers of children plummet. I had intended to show my film and photographs to the students at Parkland’s School, but it closed, only twelve years after it opened. Depending on whom you ask, it was either falling intake or falling standards. Either way, Speke no longer has a secondary school. Speke’s fate was sealed on the drawing board: it was designed to have a bypass. No one ever goes through Speke: making a brief detour off Speke Boulevard to shop in Morrison’s doesn’t count. The problem was there from its inception. Speke, as the city planners envisioned it, should never have been built. (2) Gratitude to the Quarrymen website for information. Last week’s post left Speke, in the 1960s, a thriving community. It would be easy now to focus on its decline and later troubles, to lapse into the language of ‘failure’ that has been affixed so readily to it and other council estates with its implication of some Original Sin, some fatal flaw of conception and planning but, in fact, the Estate has been a good home to many people over time. My family moved to Speke 1950; from what they had moved from this was luxury. My sister Agnes told me about everything being new, hot running water, toilets inside, the only downside to this paradise was for a while was it was a building site, very, very muddy. In time things changed but it was very much a community, groups and activities were formed. OK, there wasn’t enough schools but other arrangements were made. She remembers spending time at what passed for the local beach on the Mersey shoreline at Oglet. She recalls her own childhood home, a small block of flats ‘with their three floors of landings and stairs [which] had been brushed and scrubbed and neatly finished off with whiter than white edges and front doorsteps’. I lived by the Park when I was younger and it was a lovely park. There were bowling greens, tennis courts, the lads could play football. You won’t miss the elegiac tone in those comments, something more than a typical nostalgia for younger days. Those comments contain their own codas: ‘a lovely place to live…Yes, about ten or fifteen years ago’; ‘a good area for employment…and now there is nothing’. Speke did suffer from the outset from its location some seven miles from the city centre. The 45-minute bus ride wasn’t too much of an issue so long as the Estate was, as planned, relatively ‘self-contained’ and economically self-sufficient but that isolation – that sense of ‘an enclave surrounded entirely by the barrier of roads, fields, the airport runway and the River Mersey’ later proved a problem. The major problem, though, was the collapse of a once vibrant local economy. Between 1978 and 1985, Liverpool as a whole lost 40,000 jobs but Speke was particularly hard hit. British Leyland had opened its Speke Number Two Plant in 1970. Industrial relations were poor and the TR7 unsuccessful. The closure of the plant and 3000 redundancies were announced in 1978. Dunlop announced the closure of its Speke factory with the loss of 2400 jobs in 1979. If one recalls the dream of the post-war period that Merseyside would develop alternative industries to deal with the decline in the docks, in transport and in warehousing, upon which the city had depended for so long, one can see the serious problem on Merseyside. Loyden would lose his seat to the Conservatives in 1979 and the first attempt to revive Speke’s fortunes was signature Thatcherism – the creation of the Speke Enterprise Zone in 1981. Enterprise Zones offered tax breaks and infrastructure incentives to private companies to relocate to areas of high unemployment. Even with the tax incentives nobody wanted to come here – the place still looked awful, still felt awful, still performed really poorly…The area was extremely unwell, almost terminally ill, and the [Enterprise Zone] was like a couple of paracetamol. Economic regeneration efforts have continued. Liverpool Vision – an economic development company (the first Urban Regeneration Company established in England) – was established in 1999 and from 2008 has funded the redevelopment of Speke’s district centre. The arrival of Morrisons, Iceland and TK Maxx, alongside smaller retailers, mark the retail successes now taken as an essential marker of economic well-being. Meanwhile, an estate which had once catered for a disproportionately (and relatively) affluent Liverpool working-class – those in work who could be reliably expected to pay above-average council rents – was now one of the poorest areas of the city, indeed of the country. In 2000 it was the judged the second most deprived ward in England; only Benchill in Wythenshawe fared worse. In 2002, average household income was £5000 below the city average. Those statistics reflected the high unemployment in Speke (in 2001 over 8 per cent of the ‘economically active’ were unemployed compared to the national average of 3.4 per cent) and the high level of sickness and disability (almost 17 per cent; over three times the national average). This was an indication of both the economic tsunami which had befallen Speke in particular and the more general transition of council housing since the 1970s to housing for the least well-off of our society. In Speke itself around 46 per cent of homes remained social rented but that term denotes another shift – from ‘Corpy’ houses to housing association, largely the result of a large-scale voluntary transfer of stock from the Council to South Liverpool Housing in 1999. Urban regeneration (as opposed to economic) has affected Speke too. 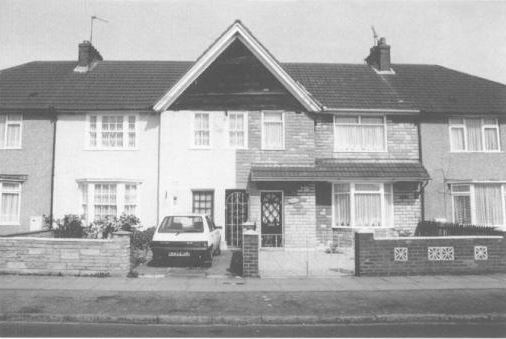 As the population fell and unsightly voids rose, some housing was ‘tinned up’ and then demolished (which added its own sense of blight for a period) in the late 1980s, some unpopular maisonette blocks were ‘top-downed’, and some new housing built. The scheme announced by South Liverpool Homes in 2012 offers a cameo of this new world – 110 ‘residential units’ in all: 66 for ‘affordable rent’, 16 for shared ownership and 28 for private sale. (10) In this case, it is perhaps not so far from the founding vision of Speke as a township ‘planned to accommodate all classes of the community’. For a time Dymchurch was judged locally to the worst part of Speke (the Liverpool Housing Trust has led later regeneration efforts) but the Estate’s residents had become accustomed to a more generalised stigmatisation – the taxi-drivers who would refuse to drive to the area were typically the most visible element of this. Paddy Ashdown, then Liberal Democrat leader, visited in 1998 (presumably he didn’t need a taxi) and likened Speke to Sarajevo, then in the throes of civil war. Speke is not Sarajevo; Speke is quite a nice estate. The only problem is that you have people, who come flying in here, there and everywhere who actually don’t live on the estate, nor can they see the potential of what is going to happen over the next few years. And indeed much has happened since then. I won’t privilege my own flying visit over the knowledge and experience of local residents who I invite to add their own impressions but the Estate looked fine to me, its housing in good nick, not visibly depressed and with very little evidence of vandalism and anti-social behaviour and certainly none out of the ordinary. New schools, a new library, a revived shopping centre look to have lifted the Estate and, of course, it continues to offer decent homes to many. The story of Speke continues. The story to date is, unavoidably perhaps, of high ambition only partially or perhaps briefly fulfilled – a reminder that we need an economy that works for people as much as those people need good, affordable housing. (1) This quote from 2012 and the following from 2014 are from the Speke Guestbook. (8) My thanks to Kenn Taylor whose comment above pointed me to this positive detail. Speke, lying just over seven miles south-east of Liverpool’s city centre, wasn’t planned as just another large council estate. The Corporation envisaged it as a ‘satellite town…planned to accommodate all classes of the community’. (1) At times, the reach of that ambition must have seemed close to fulfilment but by the 1980s some called it – and not in a good way – ‘Beirut’ or, a few years later as civil war raged in the former Yugoslavia, ‘Sarajevo’. (2) That was never fair and much has changed since. This post looks at the longer history, the hopes and the fears and the more complex story of the community’s ups and downs. 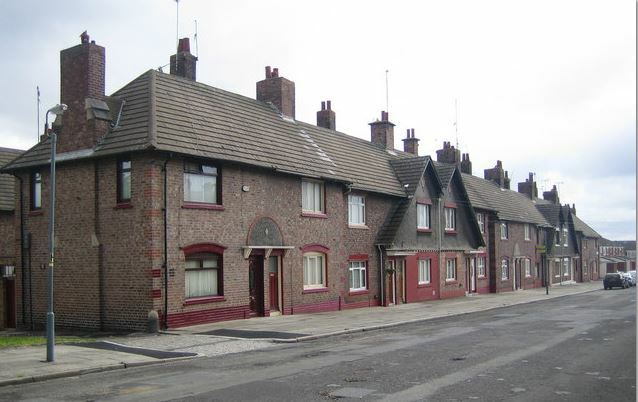 Liverpool – a securely (though idiosyncratically) Conservative authority until 1956 – built over 42,000 council homes in the interwar period, most in large cottage suburbs such as Norris Green, some famously in imposing ‘Continental-style’ tenement blocks. 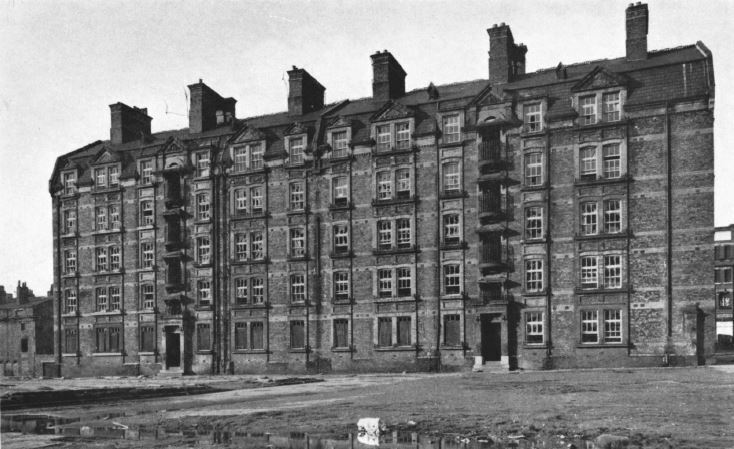 The Speke Estate represented another strand in this ambitious agenda, providing not just housing but employment as the Corporation sought far-sightedly to shift the city from its dependence on precarious and low-waged dock labour. The keystone of this approach lay in the 1926 Liverpool Corporation Act which empowered the council to develop industrial estates and parallel housing developments. The Corporation bought the Speke estate – the local gentry family had died out in 1921 and the land had been placed in trust –for £200,000 in 1928. Then in the neighbouring Rural District of Whiston, the area was formally incorporated into the County Borough of Liverpool in 1932. Factories needed workers. At the same time, Liverpool citizens living in the city’s many slums needed decent homes. In 1935, the Corporation had committed itself to an eight-year programme clearing 15,692 slums and the construction, within five years, of some 5000 new homes. The Corporation’s transfer of 650 acres of land in Speke to the Housing Committee in April 1936 was central to these plans. By 1939, 1631 homes had been completed on the Estate although demand was much higher. Companies drawn to the industrial estate by the lure of local housing for its workforce complained about slow progress and the failure of the Corporation to fulfil its side of the bargain; Rootes alone claimed it needed 1285 homes for its workers. (4) This urgency led to Speke’s early housing being built without subsidy under the 1925 Housing Act. These homes were, in the fashion of the day, laid out on ‘Garden City’ lines though, in this case, the lines themselves were rather pronounced. The existing village of Speke housed around 400; its parish church was judged ‘not of such importance as to be made the focal point of the new development’. Furthermore, the ‘absence of any natural features, the levels of the grounds, and the regularity of the boundaries,…all tended to suggest a formal layout and the consequent need of a central spacious boulevard and one main cross-road’. (6) Western Avenue running north-south and Central Avenue east-west continue to mark that original plan with the Estate’s basic grid broken up by the cul-de-sac ways and closes which nodded towards Ebenezer Howard’s more bucolic ideals. The war had naturally hindered further construction though the important military role of the airport and industrial estate no doubt played its part in the permission granted to build an additional 367 houses during the war itself. Post-war efforts were dedicated – in the words of Labour’s 1945 election poster, to winning the peace. The attempt to fulfil Speke’s founding ideals was redoubled. 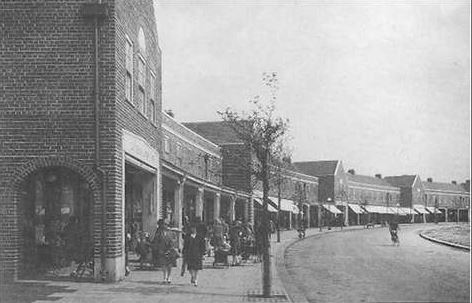 In 1949 Stanley Gale described Speke as ‘unique among housing estates developed by local authorities’. Although it was not yet a ‘self-contained community’ as planned, its 29 factories were reported to employ some 11,000 workers; the completion of the Estate’s 6000 homes confidently projected. It’s worth looking at the detail of the latter: that total was made up of over 5143 two- to four-bed family homes with living room and dining room (the change of terminology from ‘parlour’ was itself telling of new times), 250 cottage flats for the elderly, 92 single person flats, and 221 two- to four-bed flats for families with living room and dining room. Here Speke had anticipated the ethos of the New Towns programme launched in 1946 and reflected the vision which Aneurin Bevan – who argued council housing shouldn’t be just for the poor – outlined eloquently in 1949. Bevan insisted that the ‘segregation of the different income groups [was] a wholly evil thing’, creating ‘castrated communities’, and his new Housing Act removed the stipulation that it be specified as working-class housing. Lancelot Keay, who considered Speke his last major project, echoed these ideals and hoped, in 1946, to oversee the scheme’s completion – ‘a projected community of about 30,000 persons with all the buildings that will be necessary and with houses for all those who may desire to share in the life of that community’ – in three years. (9) In a period of such genuine austerity that was over-optimistic. Keay retired in 1948. The Estate was completed in the late 1950s with those 6000 homes and a population (its peak population as it happened) of around 25,000.
most essential that we should endeavour to bring back a greater measure of gaiety into the lives of ordinary people. They should have the opportunity of enjoying all those excitements and pleasantries of life which are too often reserved for those in the higher-income levels. It is for this reason that a central community building will provide, with its dance hall, concert hall and restaurant, for the pleasures as well as the adult education of the people. The new Austin Rawlinson Swimming Bath and Civic Laundry (named after a local swimming Olympian and national coach) and Speke Central Library weren’t opened till 1965. We’ll leave Speke in its heyday – a place with decent housing, facilities and, most importantly – always the economic underpinning of working-class prosperity – good jobs. Next week’s post will examine its later more troubled history and recent attempts to revive the Estate conceived with such high hopes. It’s a ‘long and winding road that leads to your door’: my final post inspired by a recent visit to Liverpool looks at the early homes of the city’s favourite sons. (1) We took the Magical Mystery Tour of Beatles’ venues on the final day of our stay. It hardly needs justification – they really did change popular culture for ever – but the tour itself offered unexpected insights into some significant social and housing history. As tour guide Jay Johnson (the brother of Holly, of Frankie Goes to Hollywood) pointed out, what became obvious as the tour progressed from inner-city to suburbs was that Ringo, George and Paul were working class and John was clearly, if a little embarrassedly, middle class. We began in central Liverpool with Ringo Starr who was probably the most working-class of the Fab Four or, at least, the group member from the poorest background. Ringo was born in 1940 in 9 Madryn Street in the so-called Welsh Streets of the Dingle district. When his parents separated, he moved, aged three, with his mother, to a cheaper house at 10 Admiral Grove, a few yards away. He lived there twenty years. His mother worked as a cleaner and later as a barmaid in the local Empress pub. The Welsh Streets, a 21-acre estate of the 1870s, less than a mile from the city centre and close to Princes Park, were so named from the fact that they were designed by Welsh-born architect Richard Owens who gave the streets mostly Welsh names and employed his fellow-countrymen to build them. These were mostly humble homes and Ringo, in particular, had a hard childhood, not helped by two bouts of life-threatening illness. If to Beatles’ fans the Welsh Streets have been put on the map by Ringo, to anyone interested in housing they’re well known as one of the most egregious victims of the Labour Government’s misguided 2002 Pathfinder Housing Market Renewal programme. This was a plan to demolish generally structurally sound – sometimes neglected but rarely slum – housing in order to build smaller numbers of new homes and revive local housing markets. Up to 400,000 homes in the Midlands and the North were affected; against residents’ wishes, 400 homes on the Welsh Streets were earmarked for demolition. George Harrison was born three years after Ringo in Wavertree, around three miles to the west. No. 12 Arnold Grove was another small working-class terraced house. Harrison remembered it as very small – with rooms ten foot square, a basic kitchen comprising an iron stove in the backroom, and a backyard with ‘a one-foot wide flower bed, a toilet, a dustbin fitted to the back wall [and] a little hen house where we kept cockerels’. Four children were brought up in this tiny home. 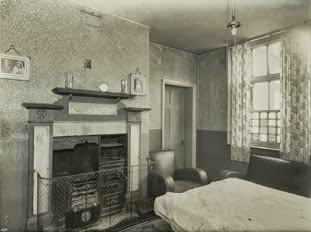 The prevalence of unfit housing at this time has been lost in the subsequent narrative critical of the council housing which largely replaced it but, according to the 1951 Census, over one in five households nationally either shared a WC (this total included outside toilets) or lacked one completely and 45 per cent of households lacked a fixed bath. For all our later romanticisation of the nineteenth-century terraces, the great wave of slum clearance and post-war council house building which followed were long overdue. In January 1950, the Harrisons moved to a brand new council house in 25 Upton Green, Speke, six miles to the south. Of its 2209 acres, 626 acres were allocated to factories (11 built by the Corporation itself), 430 to Liverpool’s airport (now, of course, the John Lennon Airport), 626 to housing, and 710 to open space. 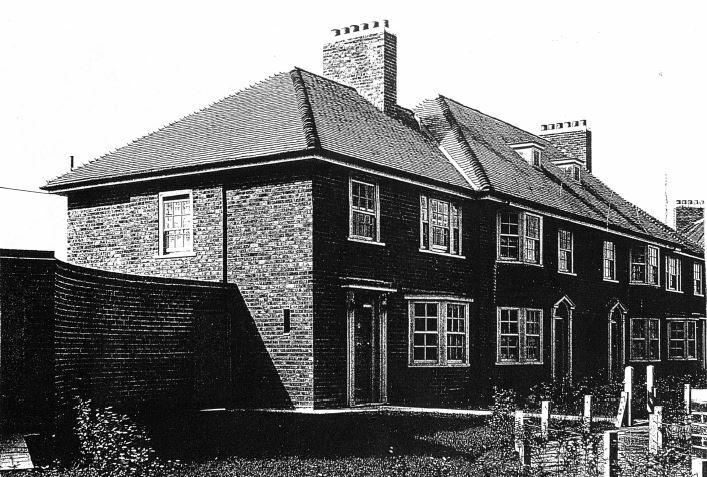 Of the planned 6000 homes, there were a few ‘cottage flats’ for the elderly and larger flats for families but most were two to four-bed homes, including ‘294 large houses with garage and four bedrooms for professional men, managers, etc.’. George’s father was a bus conductor and his mother a shop assistant so naturally the family didn’t qualify for one of the posh houses. endeavour to bring back a greater measure of gaiety into the lives of ordinary people. They should have the opportunity of enjoying all those excitements and pleasantries of life which are too often reserved for those in the higher-income levels. And to that end, a ‘central community building…with dance hall, concert hall and restaurant’ was provided ‘for the pleasures as well as the adult education of the people’. Keay – whose discourse (for all his commitment to the people’s pleasure) retained a self-improving tone – surely hadn’t anticipated, and probably wouldn’t have approved, the rock and roll craze that captured George in the mid-50s. At any rate, the Quarrymen and the Beatles played elsewhere. Nor could Keay have anticipated the devastating industrial decline that affected Liverpool, and Speke with particular force, from the 1970s. Between 1978 and 1985, Liverpool as a whole lost 40,000 jobs; the closure of the British Leyland Standard Triumph works and Dunlops in Speke contributed over 6000 of this total. It became, if you could, a place to avoid – ‘Beirut’ to some – and one of the poorest areas of Merseyside. The Harrisons moved out in the early 1960s. The residents who remained remembered it then as ‘a lovely place to live…we used to have tennis courts and everything – bowling greens’ and, critically, ‘good employment…and now we seem to be the forgotten people’. 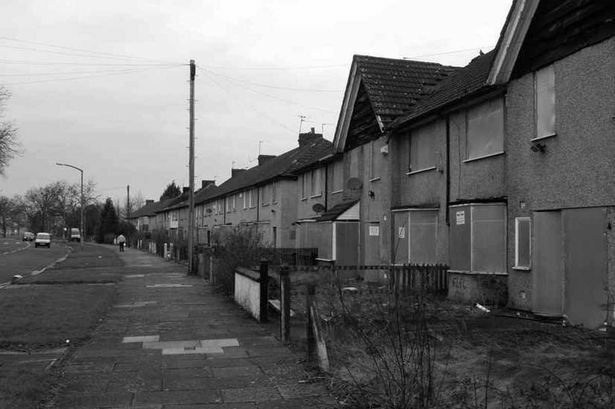 (5) In 2000, Speke was the second most deprived ward in England and Wales. From the 1981 Enterprise Zone onwards, there have been concerted efforts to revive the promise of Speke, too many to detail. I didn’t visit but I hope people who live there can tell me it’s doing better. 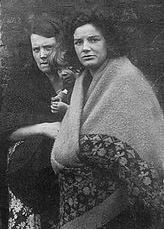 The McCartneys were another early Speke family, living at 72 Western Avenue and then at 12 Ardwick Road. Paul passed his 11 plus – another class marker of the time – and one year later he met George Harrison on the bus from Speke to their grammar school, the Liverpool Institute in the city centre. In 1955, there was another shift upwards for the family, significantly to another council home but this at 20 Forthlin Road in the leafy suburb of Allerton. His mother, a midwife, needed access to the phone which their new home afforded though, tragically, she was to die just one year later. Though not unreasonably described as ‘extremely modest’ by Historic England who listed it Grade II in 2012, this is a good council house, built, in 1949, just as Nye Bevan was insisting that council housing be built to the highest standards. (6) Downstairs, there was a living room, dining room, kitchen with a small extension to the rear which still contained an outside toilet. Upstairs, you’ll find – and you can see all this as the home was purchased by the National Trust in 1995 – three bedrooms and a bathroom with toilet. This was a comfortable family home in an unashamedly suburban setting. Further down the road, there are some three-storey council flats placed around a large open green. Other than its cultural association (around one hundred Beatles songs were composed within its walls), all this is profoundly unremarkable unless you take time to consider that it symbolises in some ways the best of an era when the state built on a massive scale to decently house its people. The McCartneys lived there till 1965. Yoko Ono bought the house in 2002 and donated it to the National Trust and it too, as of 2012, is Grade II listed by Historic England. John lived there with his Aunt Mimi from 1946 to the early sixties, in the final years sleeping with his wife Cynthia who he married in 1962 in the dining room adapted as their bedroom. He’d met Paul five years earlier when the Quarrymen played a set at the St Peter’s Church garden fête in Woolton. Aunt Mimi didn’t approve of John’s musical interests and famously remarked ‘the guitar’s all very well, John, but you’ll never make a living out of it’. She berated his strengthening Scouse accent too as he became more famous but John was matter-of-fact: ‘That’s show business, they want me to speak more Liverpool’. According to Paul, she was also ‘very aware that John’s friends were lower class’. Conversely, Paul’s father, Jim, disapproved of John, believing that he would get his son ‘into trouble’. (8) You can play with the class sensibilities there – Mimi as a Hyacinth Bucket of her time and Jim as an authentic voice of working-class respectability. Mimi could be stern but she was the dominant maternal figure in John’s life and the two stayed close – he phoned her weekly – till John’s death in 1980. 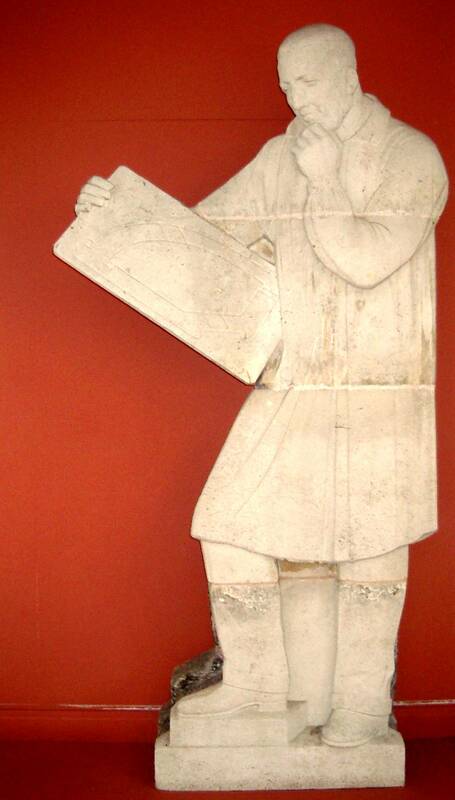 For all his relative privilege, John had had a difficult childhood. His father was absent; his mother, Julia, apparently unable to care for him properly. Mimi, her childless sister, took charge and Julia – who had nonetheless stayed close to John and inspired his musical tastes – was tragically killed crossing Menlove Avenue in July 1958. John was devastated and the anger he felt fuelled the bad boy behaviour which alarmed Jim McCartney. After I stopped living at Penny Lane, I moved in with my auntie who lived in the suburbs in a nice semi-detached place with a small garden and doctors and lawyers and that ilk living around…not the poor slummy kind of image that was projected in all the Beatles stories. In the class system, it was about half a class higher than Paul, George and Ringo, who lived in government-subsidized housing. We owned our house and had a garden. They didn’t have anything like that. I’d like to think, though, that the council homes – unheroic, quietly decent – the state provided to George and Paul testify to another possibility: a society and culture that values and nurtures all its people. (1) My first post was based principally on a walk through the city’s housing history with Ronnie Hughes of the fine A Sense of Place blog. The second was a more eclectic pick of housing and municipal history discovered over the days which followed. (2) BBC Liverpool, ‘Welsh Streets regeneration go ahead in Liverpool as council drops appeal’, 15 December 2015. See also the website of the Welsh Streets campaign and the Report on the Welsh Streets Public Enquiry (pdf) from SAVE Britain’s Heritage. Last week’s post followed my walk exploring the housing history of Liverpool with Ronnie Hughes. We had a long, gloriously sunny Bank Holiday weekend in the city and lots more to do so what follows is a little more eclectic but, naturally, it remains firmly municipal. In fact, later in the same day, I took time to time to visit what must be – alongside Eldon Grove – the most spectacular symbol of Liverpool’s housing history, St Andrew’s Gardens (or the Bullring to locals). I’ll let a couple of pictures do the talking first. Impressed? 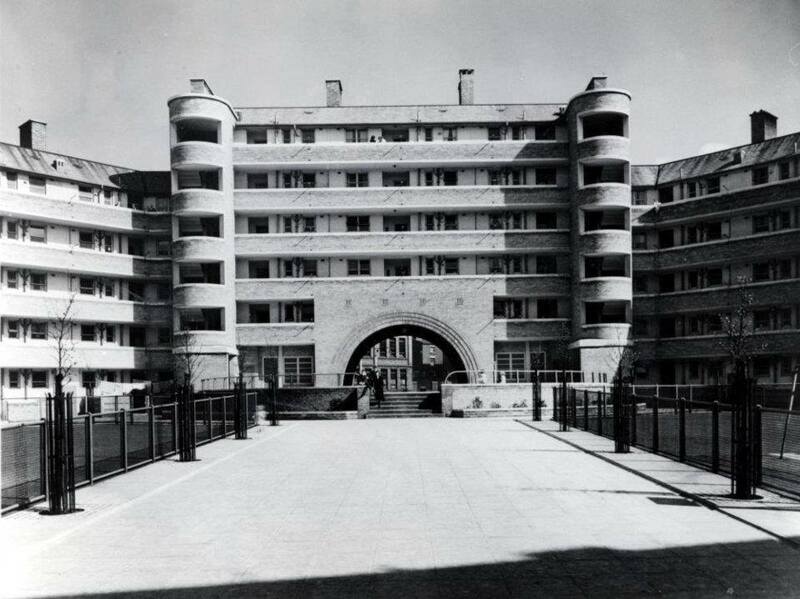 St Andrew’s Gardens, designed by John Hughes, was built by the Corporation between 1932 and 1935, the first of a stunning series of multi-storey tenement blocks (inspired by the cutting-edge public housing of Berlin and Vienna) built under the visionary leadership of City Architect and Director of Housing Lancelot Keay. This, mark you, is a remnant of the original scheme and other similar grand blocks such as Gerard Gardens have been completely demolished. To gain some sense of the scale and ambition of the latter, your best bet is to visit the Museum of Liverpool to admire the model constructed by Ged Fagan. Just to the left of the model you’ll see a couple of original artefacts from the building – The Builder and The Architect: two reliefs by local sculptor Herbert Tyson Smith, commissioned by Keay to adorn its exterior. 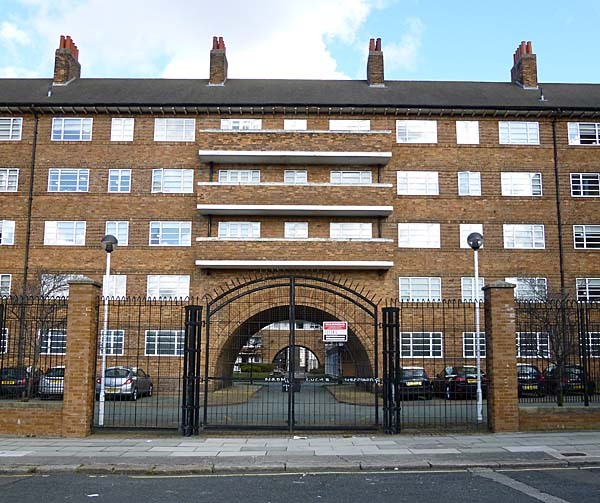 I’ve written in an earlier post about Liverpool’s unequalled interwar multi-storey housing. Now you just have St Andrew’s Gardens as a reminder of what was achieved – and it is student housing. There are currently about 50,000 plus HE students in Liverpool and the city has bet big on their presence as a contribution to the local economy. It had better hope that particular bubble doesn’t burst. Back at St Andrew’s Gardens, you’ll see to the rear a more modern artwork depicting local people and their lives, created by Broadbent Studio in conjunction with the St Andrew’s Community Association and the Riverside Housing Association. It was unveiled by the Queen in 1999. It contains a biblical quotation from First Corinthians: ‘The eye cannot say to the hand I have no need of you, nor again the head to the feet I have no need of you’. I’ll take that as a tribute to the value of the lives and labour of the ‘ordinary’ people who once lived in the Bullring. On this day, the Queen was earning her pittance too, popping over the road to unveil what must be one of the most incongruously-placed plaques in the country at 19 Bronte Street. All this was to mark the area’s ‘regeneration’. It all creates a strange mix (but Liverpool is a city of clashing contrasts) as the new build here in Gill Street and the older, 1960s (?) housing nearby in Dansie Street illustrates. Obviously Frederick Gibberd’s Metropolitan Cathedral is a looming presence too. OK, now for some unashamed tourism but you can’t visit Liverpool without ‘doing’ the Mersey and the Beatles…and, with eyes to see, there’s plenty of significant municipal history in those too. Wikipedia probably isn’t the most reliable source but it claims the first Mersey Tunnel (the Queensway or Birkenhead Tunnel), opened in 1933, as the largest civil engineering project ever undertaken by a local authority. Its construction was driven (with the County Borough of Birkenhead in tow) by the Corporation of Liverpool and one of the most ambitious City Engineers in the country, John Brodie. We’ll give credit too to the consulting engineer, Sir Basil Mott and the architect Herbert James Rowse who designed the most visually striking elements of the tunnel, its ventilation shafts. Here’s the one on the Birkenhead side. The Kingsway Tunnel (to Wallasey) was opened – by the Queen again! – in 1971. I won’t force a municipal connection here – it was built by civil engineers Edmund Nuttall Limited but I know that the fans of Brutalism who follow this blog really like the ventilation shafts of this one too. To the left here in Seacombe is Mersey Court, a council block built in the mid-60s. Just to the north, you’ll get the best view of the magnificent Wallasey Town Hall, designed by Briggs, Wolstenholme & Thornely – free Neo-Grecian in a Beaux Art tradition according to its Grade II listing. Begun in 1914, it was used as a military hospital during the war and was finally opened for municipal purposes in 1920. Travelling from the Seacombe to the Woodside Pier Head, the latter gives you a glimpse of Birkenhead Town Hall, opened in 1882 from a design by local architect Christopher Ellison. You’ll need to walk to the Georgian and Victorian Hamilton Square to see its Grade II* grandeur properly. It was used as municipal offices to the early 1990s and I visited it later when it was the Wirral Museum. Now it’s closed and awaiting a new role. I hope something fitting is secured. Back to Liverpool and the waterside view of Liverpool’s crowning glory, not municipal but unmissable – the Three Graces: the Royal Liver Building, the Cunard Building and the Port of Liverpool Building. They’re maybe the reason that my wife’s ancestors thought that the ticket they’d bought to New York was genuine. In the end, they made a good life in Liverpool. Towards the right of this picture taken from the Museum of Liverpool, you’ll see the ventilation shaft of the Liverpool end of the Queensway Tunnel, not looking a bit out of place. Liverpool 8, Toxteth, famous for the riots of 1981, may still evoke very different images of the city. In fact, the taxi-driver who dropped us off in the district asked if we were sure that’s where we wanted to be – ‘they’re tough as old boots round here’ was his parting shot. That was undeserved, unfair to its poorer residents (he didn’t mean it kindly) and ignorant of just what a mix the area contains – some of Liverpool’s finest Victorian housing, some of its humblest, and a couple of wonderful municipal parks. We alighted in Granby Street and walked down to what is now known as the Granby Four Streets area. I won’t begin to try to tell its story here – from good, solid Victorian housing to economic decline and dereliction, to the point when it seemed likely to be cleared as part of New Labour’s ill-judged Housing Market Renewal Pathfinder Programme, to the residents’ fight-back and the formation in 2011 of the Granby Four Streets Community Land Trust. Ronnie Hughes has been intimately involved with much of this and you should read his A Sense of Place blog to learn more. Now some of its houses have been beautifully renovated (with more to come) and famously the creative reconstruction work of the Assemble arts collective won it the Turner Prize in 2015. The houses are next to Princes Park, designed by Joseph Paxton and James Pennethorne and opened as a private park in 1842 (Pennethorne also designed Victoria Park in East London) and acquired by Liverpool Corporation in 1918. There are some fine houses, formerly belonging to Liverpool’s well-to-do, nearby too though most of the terrace below in Belvidere Road has been converted to flats and is social rented. These juxtapositions are strong in Liverpool. A short walk brought us to this house in Ullet Road, once the home of John Brodie. Is he the only municipal engineer to get a blue plaque? As the brains behind the Queensway Tunnel, the designer of the UK’s first ring road, its first intercity highway and – apparently his proudest achievement – the inventor of goal nets in football, he deserves one. Down Linnet Lane at the edge of Sefton Park, you’ll see some dignified post-war council housing, notably Bloomfield Green, a scheme for elderly people which won a Civic Trust award in 1960. The 231 acre, Grade I-listed, Sefton Park was opened by the Corporation ‘for the health and enjoyment of the townspeople’ in 1872. This stunning photograph (from the Yo! Liverpool forum and used with permission) shows the beauty of the park and its urban setting. You’ll see some surviving, now refurbished, council tower blocks in Croxteth, built from the late 1950s around the perimeter. That it was still providing for the ‘health and enjoyment’ of local people was obvious from the crowds in and around its most celebrated feature, the Palm House, opened in 1896, rescued from dereliction in the 1990s, and more recently more fully restored. I’ve written more than intended and I haven’t even started on the housing history of the four lads from Liverpool who forever changed the world of popular music. That will be a bonus post coming soon. I’ve added a few additional contemporary images of St Andrew’s Gardens and some historic images of other multi-storey flats schemes on my Tumblr page here. For some lovely images of the St Andrew’s community in 1967 take a look at this page from the Streets of Liverpool website. This post is a little different – a little more personal, a little more wide-ranging…but then that’s what Liverpool can do to you. It’s my wife’s home town (she’s asked me to point out that it’s actually a city with, as they’ll tell you, a cathedral to spare) and a long weekend last month was an opportunity to meet old friends (and new ones), to enjoy the city’s amazing architecture and setting and, of course, in my case, to explore its unique housing history and a few other municipal dreams. On Saturday morning, we were lucky enough to be given a guided walk through north Liverpool by someone who probably knows the past and present of Liverpool’s housing as well as anyone. Ronnie Hughes writes the fine A Sense of Place blog and he took us from Anfield to Everton Park to…well, we’ll save the best for later. Ronnie’s blog post on the walk tells the story better than I can, with a lot more images, so I’ll be selective here. From Anfield and the new stand – and the blight it has inflicted on the nearby terraces for years – through streets of sturdy Victorian housing and mostly generic new build (and some striving too hard for effect), we came to Everton Library on St Domingo Road. Designed in 1896 by Thomas Shelmerdine, Liverpool Corporation’s Architect and Surveyor, a visually stunning red brick confection of Arts and Crafts and Jacobean, it looks beleaguered now and unloved. It’s Grade II listed and various plans have been floated and grants promised but, as yet, it’s awaiting rescue and a new role. For the moment, let’s take it as a monument to a time when libraries and their cultural purpose were truly valued. Down the road and across, we reached Everton Park – a new park created in the 1980s on the dust and debris of housing dreams gone (or thought to have gone) awry. Now it gives you one of the best views of Liverpool city centre you’ll find; once it housed many of its people. You’ll need to look closely to see that history now but sometimes a single image can tell a big story. 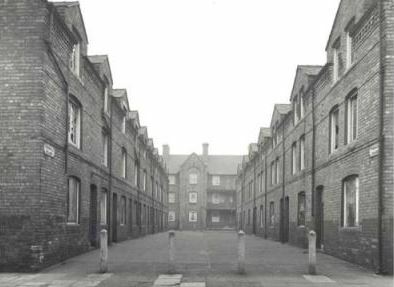 There are circumstances which we as a community don’t control – though there are many we shouldn’t be persuaded to think ‘natural’ or ‘inevitable’ – but just think how thoughtfully-applied public investment might have supported not victimised the diverse people who lived in these blocks. Look at the picture again and you’ll see a small paved square, centre-left. This was The Braddocks (named after the formidable wife and husband team, Bessie and Jack, who dominated Liverpool politics in the post-war period) – another block of council housing. Down Netherfield Road, you come across another remnant – the entrance to what was formerly Netherfield Heights, a large slab block of council flats. The three ages of Everton – nineteenth-century, 1960s and contemporary are well illustrated in the model of the district in the Museum of Liverpool- from Victorian terraces to 1960s’ clearance and high-rise to the contemporary, very altered, streetscape and green (and not so green) space. 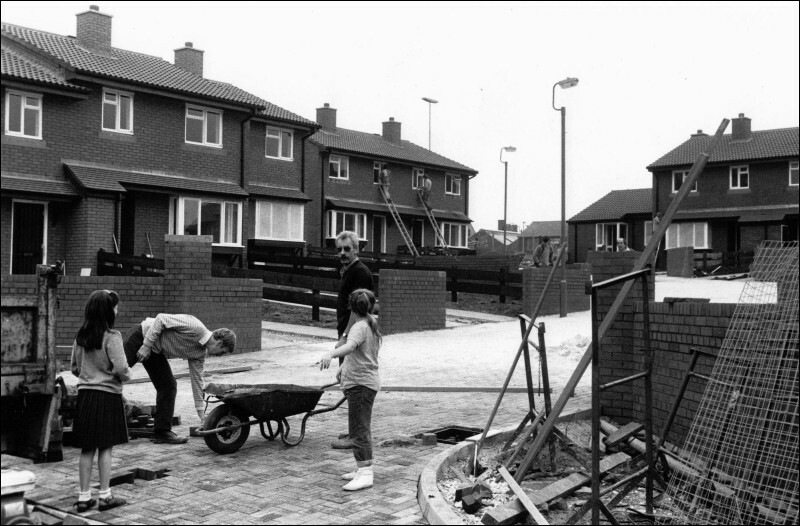 The right-hand image shows the impact of the massive house-building programme of the Militant-controlled council in the 1980s – a huge achievement in many ways as Thatcherism sounded council housing’s death knell elsewhere though not to everybody’s taste. From here, a few more steps and we came to, for me, the Holy Grail of this particular walk, Eldon Grove: the finest council housing built by the Corporation of Liverpool before 1914 and still – though desperately neglected and sadly derelict – a powerful, masterly presence. 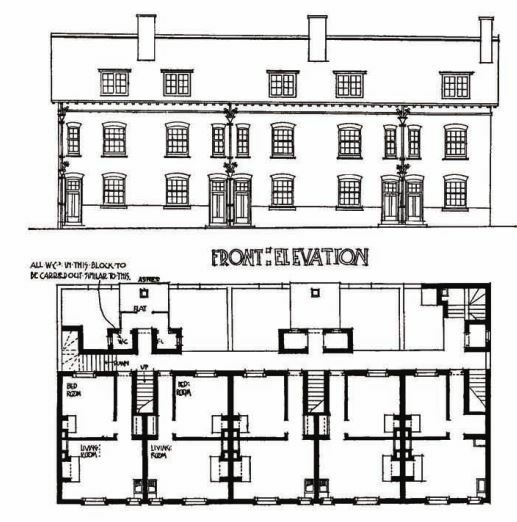 Here’s how it looked in the original architect’s drawings (you can find this one in the library of Harvard University) and below in its heyday as a home – complete with gardens and bandstand – for some of the poorest of Liverpool. It’s Grade II listed but in an age when we know the cost of everything and the value of nothing its rescue depends on being made to pay. Ronnie has charted the recent plans to save it which, for the time being, seem have fallen through. It must be saved – to me it’s as valuable a piece of heritage as Buckingham Palace but the real beauty of Eldon Grove, of course, is that it can still serve its original purpose as housing for the people. Ironically, immediately adjacent, are terraces of sturdy council housing in Bevington Street and Summer Seat doing just that. The gable ends of Summer Seat, inscribed 1911, show they were built at about the same time as Eldon Grove. We walked on past the entrance to the Kingsway Tunnel – the second Mersey Tunnel, opened in 1971 – and through streets familiar to me by name as the site of yet more pre-First World War Corporation housing. The tunnel itself marked the final nail in the coffin of another of Liverpool’s grandest early schemes, the Victoria Square Dwellings – a five-storey quadrangle of some 270 flats – opened in 1885. The first image shows them, as planned in 1885. That immediately above shows the remnant of the scheme, when just two blocks remained, in 1966. For all that grandeur, the bulk of Liverpool’s council housing before 1914 comprised modest two-storey terraced housing and three-storey tenements. 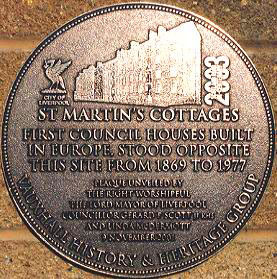 Liverpool had built the first council housing in the country in the country – St Martin’s Cottages, not far away in Ashfield Street – in 1869. (They were demolished in 1977.) By 1914, it had built 2747 flats and houses, a record of council house-building unequaled outside London. The Hornby Street scheme, for example, was made up of 23 blocks of 445 dwellings, accommodating 2476 in all. You can read all about this proud record in greater detail in my earlier post on Liverpool’s pioneering council housing. Similar housing was built around the turn of the century in Arley Street, Gildarts Gardens, Dryden, Kempston, Fontenoy, Kew, Newsham and Adlington Streets. Now most of that housing and some of those streets have gone. What you see instead are Militant-era streets and closes of two-storey houses, ‘even bungalows for God’s sake’, to Owen Hatherley’s chagrin. By now we were close to the centre and a quick walk took us to the Municipal Buildings in Dale Street, designed by John Weightman and ER Robson, completed in 1866, and the parting of our ways. My thanks to Ronnie who had been a great guide and mentor on the rich history you’ve just seen. 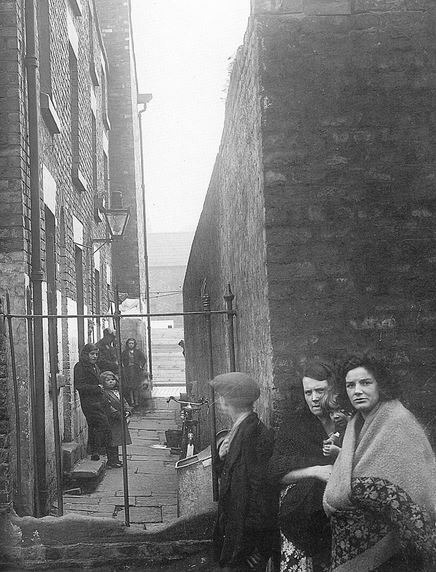 That wealth, amidst massive poverty, would endure for some time and it was those extremes which both enabled and compelled – alongside more self-serving motives, no doubt – the Tory administration which governed Liverpool to 1955 to build housing at such scale and such ambition. Labour, right and left, Liberal and Liberal Democrat councils have run Liverpool since but each has continued to grapple with the central issue of housing and each has reflected the circumstances and the fashions of their time. We’ll follow that story in Part II of this post next week. I’ve post a few more images of Eldon Grove on my Tumblr site. (2) Dave Sinclair was a photographer for Militant at this time. You’ll find this and many other powerful images of this phase of Liverpool history in his volume Liverpool in the 1980s (Amberley Publishing, 2014). Ronnie’s post of the same name has more images from the time. The alleged English antipathy to multi-storey living (the Scots are different) is well attested but Liverpool – in this and much else – is an exception. Its Corporation embraced tenements for practical reasons, as we shall see, but also as a conscious mark of the city’s urbanity and global status. In so doing, it created some of the most striking council housing of the interwar period though sadly very little of it remains. The immediate context for the drive to inner-city multi-storey accommodation was a scale of slum housing unparalleled in the country. In 1919, 11,000 Liverpool families were living in one room – over 6 per cent of the city’s population. 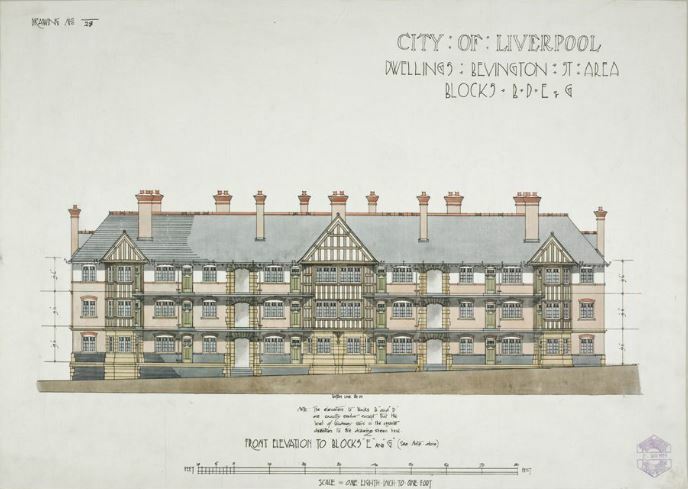 The Medical Officer of Health estimated 8000 new homes were needed and Liverpool – a pioneer in municipal housing – acted quickly to build the new cottage estates that the Tudor Walters Report recommended and Christopher Addison’s 1919 Housing Act funded. 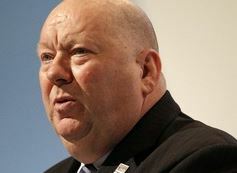 The position in many of our great cities, particularly in Liverpool, and particularly in my own division of Liverpool, is that it is vitally necessary that the workers should live in the centre of the city near their work. The dock labourers of Liverpool have to go every morning to the stand on the dockside for employment…They are employed, as we all know, by the half-day, and, if they are unemployed, they have to turn up again at the stand at mid-day. Thus, as he went on to explain, long tram journeys back and forth to the new suburban council estates (such as Norris Green) were impractical. The more cynical might see in such solicitude a desire to maintain the cheap and competitive pool of labour on which the profits of Liverpool’s global trade depended. That sense of itself as a world city was important too, however, and the Liverpool townscape had a powerful presence and dignity – maybe those shtetl Jews who had bought tickets to the New World but found themselves dumped on the Liverpool waterfront weren’t as gullible as we might think. In the interwar period, as Matthew Whitfield argues, this civic project allied with a Modernist dynamic in a shared commitment to urban scale and density and rational planning. In this, the Corporation appointed men who shared such a vision, notably in the first instance, John Brodie, City Engineer from 1898 to 1926 and the designer of the UK’s first ring road (Queen’s Drive), its first intercity highway (the East Lancs Road) and what is said to be the country’s largest ever municipal construction project, the Mersey Tunnel. (2) In October 1924, Brodie led a Council delegation to Amsterdam. They went with a mission to examine the Dutch municipality’s construction of concrete cottages but returned far more impressed by the city’s grand housing schemes. But Brodie’s most critical contribution to Liverpool’s housing history lay in his appointment in 1925 of Lancelot Keay as his chief architectural assistant. 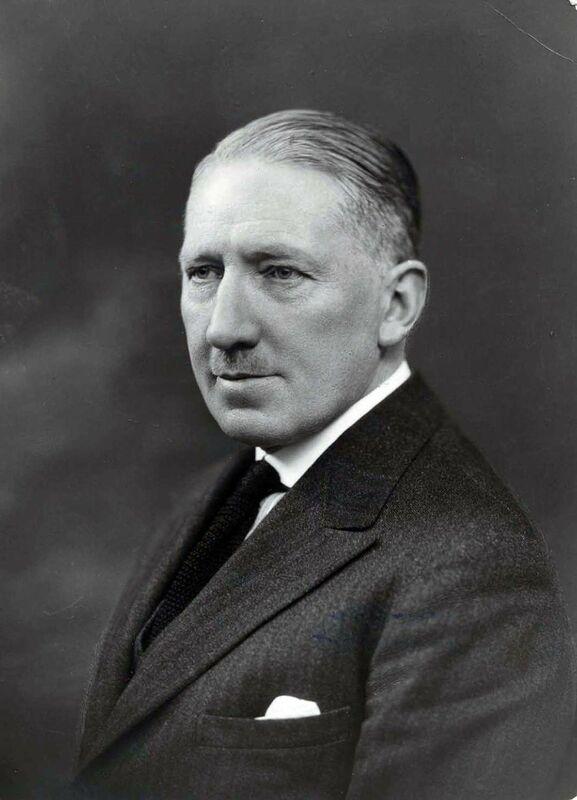 Poached from Birmingham (where there was a firm dislike of flatted schemes), Keay – as acting director on Brodie’s retirement and then director of housing from 1929 – became the leading municipal architect of his day and one of the most influential advocates of multi-storey solutions. Keay undertook the apparently mandatory visit to Vienna to view its municipal housing in 1926 but he returned impressed by its scale, sure enough, but critical of the small size, poor ventilation and facilities of the flats. A trip to the International Housing and Town Planning Congress in Berlin in 1931 was more positive: his official report praised the ‘breadth of vision exercised in the layout of the various estates’ and their ‘modern lines’, singling out the Hufeisensiedlung designed by Bruno Taut. Keay’s appointment in the same year of a bright young graduate from the Liverpool School of Architecture, John Hughes – already a recognised exponent of modernist-style flat design – consolidated the Council’s commitment and capability in the field. 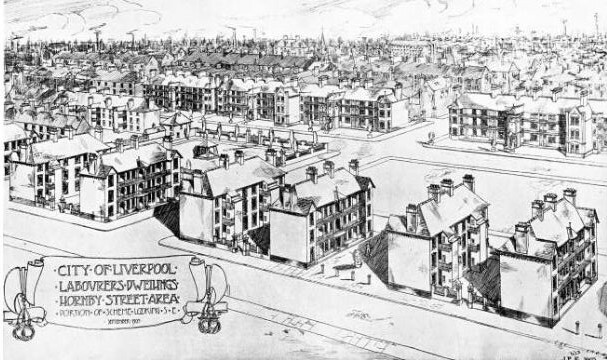 Liverpool had already built some large multi-storey schemes of more conventional design in the suburbs in the later 1920s. 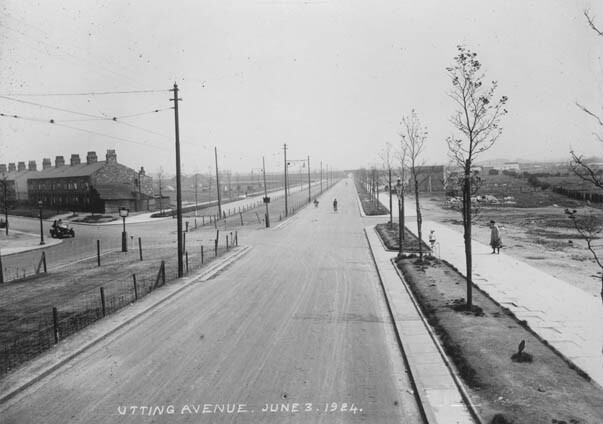 Here, along some of Brodie’s grand arterial roads (such as Mather and Muirhead Avenues), they were intended to provide a mass and impression appropriate to the new urban landscape being constructed. In all, then, Liverpool needed little encouragement to embark on more ambitious plans to develop its central districts but it was given a leg-up by the housing legislation of the 1930s. Greenwood’s 1930 Housing Act gave financial incentives to the rehousing of slum-dwellers and to the construction of flats in central areas with high land values. Its breakthrough scheme, however, was St Andrew’s Gardens, from a design by Hughes in 1932 and completed in 1935. 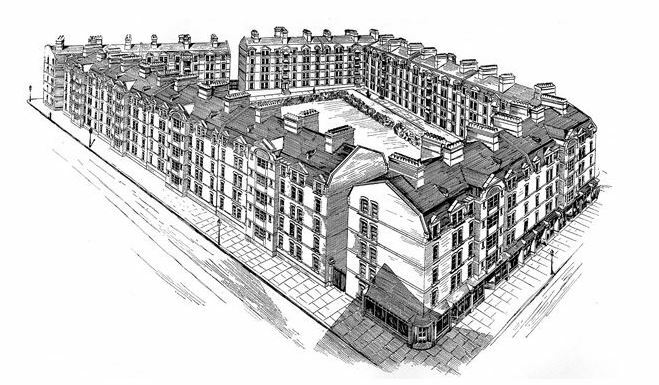 Of the original large scheme, strongly reminiscent of the Hufeisensiedlung, now only one semi-circular five-storey block remains but it retains a commanding presence – its conventional walk-up design superseded by its clean, sweepingly curved lines and horizontal accents (note the windows and the banded brickwork). 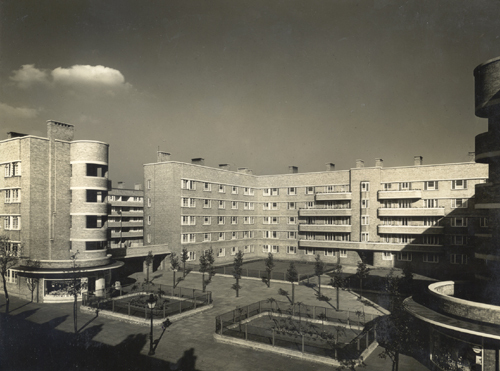 The development included so-called private ‘sun balconies’ for the first time (as distinct from the balcony access galleries of traditional schemes) and benefitted from high-quality landscaping and play areas. 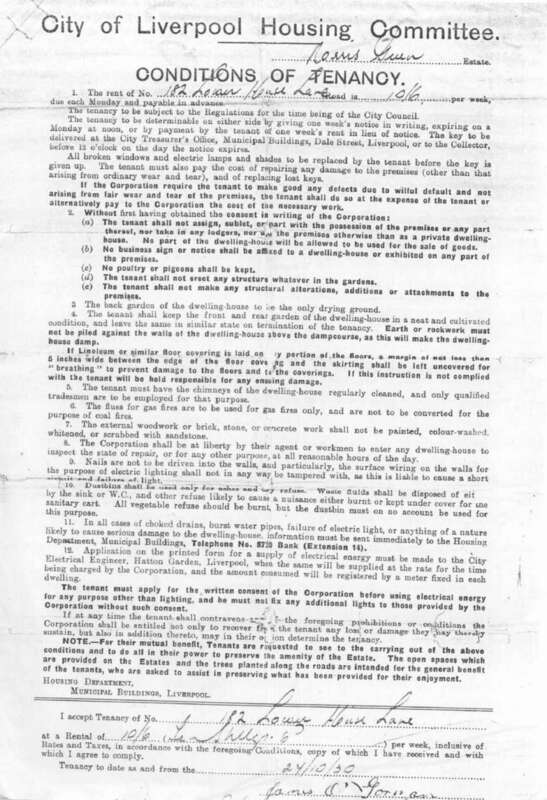 Further legislative impetus was offered by the 1935 Housing Act which replaced ‘Clearance Areas’ (where slum housing had to be specifically represented on sanitary grounds) with more general ‘Redevelopment Areas’ which could be zoned for clearance on broader grounds such as overcrowding, poor amenities and bad layout. It was no coincidence that Lancelot Keay had joined the Ministry of Health’s Technical Committee on Slum Re-housing one year earlier or, in the year of the Act’s passing, that Liverpool Corporation was the first in the county to apply for redevelopment powers under its provisions. The broader ambition of the Corporation and its architects was seen fully in the schemes which followed. Gerard Gardens was part of the newly designated Central Redevelopment Area and constructed between 1935 and 1939. Myrtle Gardens (1936-1937), Caryl Gardens (1936-1937), Warwick Gardens (1938), Sir Thomas White Gardens (1938-1940) and the Corlett Street flats (1938-1939) followed in quick succession. 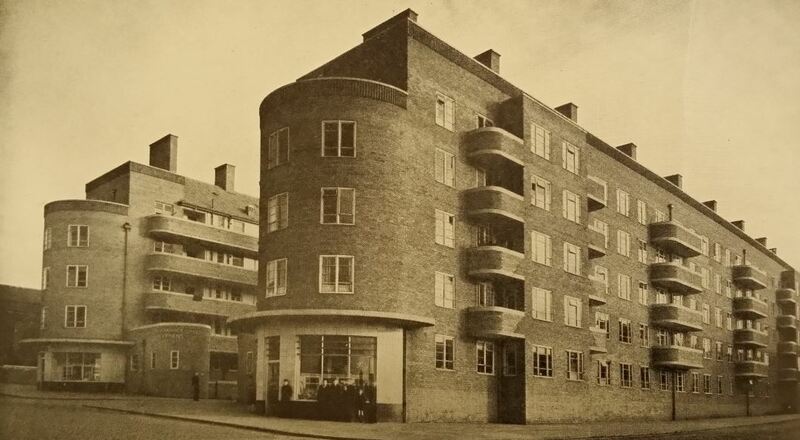 All follow the same broad lines of St Andrew’s Gardens though Whitfield notes an Expressionist tendency in the Gerard Street scheme in particular, drawn from the German architect Erich Mendelsohn. 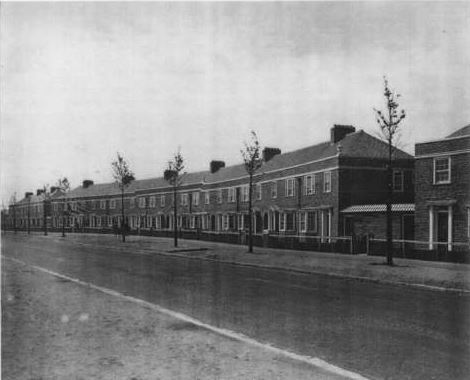 Mendelsohn had lectured at the Liverpool School of Architecture in 1933 and the School was an important background influence on the design of Liverpool’s municipal housing at this time. Keay’s ambitions ran larger than the mere provision of housing, however. The internal facilities of the flats were relatively conventional (though improved by the insistence that a bath – and later a hand basin – be included within a designated bathroom rather than scullery) but Keay believed that their denser development allowed recreational space and the inclusion of amenities not possible in the cottage suburbs. Writing in 1939, Keay proudly enumerated the facilities of Caryl Gardens: ‘rest gardens for aged tenants’, ‘playgrounds with a liberal supply of gymnastic equipment for both infants and juniors’, ‘a boys’ club and a girls’ club in the blocks’, ‘a gas-heated drying room (for which no charge is made)’ and, last but not least (for its recognition of the reality of the lives and deaths of Corporation tenants) , ‘a House of Rest which has been erected for the reception of the dead pending burial’. Is it less possible to raise an A1 community in a properly planned township of flats than in a garden city or suburb? Is there any doubt that the rising generation in the great continental cities of Europe will not be as fit physically and morally as the children of Wythenshawe and Dagenham and Norris Green? …he was in no doubt of the answer. He was certain that the Council’s modern schemes would provide first-class accommodation for the Liverpool working class (though not, it should be said, without a little education for their new tenants who he believed had been adversely conditioned by slum living). We shall soon be placing Liverpool and Manchester well before Vienna for this class of work. Admittedly these buildings are not conceived nor laid out with the mathematical precision to get the maximum sun…that a German architect would strive for. He would place his thin blocks of flats marching across the town, one behind the other, like a regiment of gaunt grenadiers…Keay’s great groups, while providing an abundance of light and air, give a sense of communal life comparable to the great court of Trinity, Cambridge. It’s an interesting prefiguring of some of the later criticisms of starker Zeilenbau schemes and an anticipation of Reilly’s own post-war attempts to create community in social housing schemes. Now, though, only a remnant of St Andrew’s Gardens survives – and that as a student hall of residence. The other blocks were progressively demolished from the 1980s. How to explain this apparent failure? The straightforward point is that the estates became obsolescent – that housing standards and tenant expectations had risen and what was once state-of-the-art became old-fashioned and inadequate. Others, however, would place greater blame, on the Council’s failure to refurbish and modernise and would point, in fact, to a deliberate policy of neglect. Looking beyond the kind of architectural essentialism which characterises so much writing about council estates, there’s also a context here. Council housing was increasingly allocated to the least well-off and ‘problem tenants’ to the least popular estates – with the cycle of decline and self-fulfilling failure that followed. Liverpool itself suffered almost unprecedented economic decline from the 1970s onward. Its population fell from 700,000 in 1945 to 460,000 in 1983. The Militant-led council in power between 1983 and 1987 famously – and, in some ways, creditably – built thousands of solid brick council houses in central Liverpool, arranged in closes and cul-de-sacs and conforming to then fashionable theories of ‘defensible space’ (or ‘Alice Coleman’s walkway turd-counting’ in Owen Hatherley’s phrase). For Hatherley, Keay’s schemes were a glorious attempt ‘in making an English city as honest about its urbanity as a Scottish or European one’. He labels the look of their replacement as ‘utterly ridiculous’: ‘one moment you’re in Berlin, the next in Basingstoke’. I’d be happy to hear what people from Liverpool think and especially people for whom either Keay’s flats or their more modest replacements were home. It’s ironic, though, that it is Keay’s paternalism which envisaged a forward-looking, future-busting housing form – a vanguardist vision, you might say – and the Militant efforts which seem reactionary in comparison. 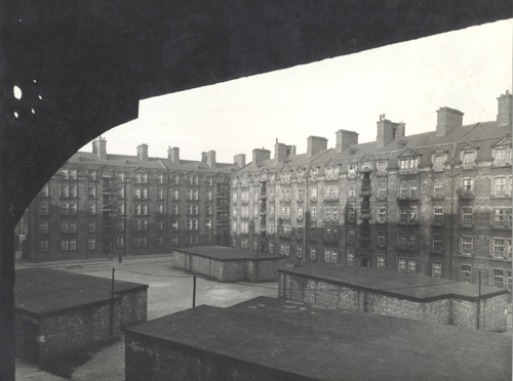 (5) Ged in the thread ‘Gardens, Tenements and Courts’ on the excellent Yo! Liverpool forum. Nostalgia for the schemes is also powerfully represented in Paul Sudbury’s documentary film Gardens of Stone (2007) and the website Inacityliving. Homes for Workers, a 1939 documentary narrated by Keay himself, gives a wonderful overview of the city’s interwar housing efforts. Apart from the websites mentioned in (5) above, additional images and commentary on the flats can be found at Streets of Liverpool and on the website of Phil Maxwell. For a sense of how radical the Corporation’s vision for Liverpool was in the early post-1945 period, go to Back to the Future: Liverpool 1948 from the fine A Sense of Place blog on the city. See the same blog, for before and after images of some of the developments mentioned here and evocative images of Liverpool in the 1980s from Dave Sinclair’s new book on the subject. We left Norris Green last week in the early 1970s as one of ‘the most stable and respectable’ of Liverpool’s council estates. (1) Some people think that paints a rather rosy picture of an already troubled estate but there’s no doubt that by the later seventies Norris Green had real problems and a terrible local reputation. What on earth went wrong? Nationally, the role of council housing changed. The 1977 Homeless Persons Act set a statutory duty to house certain vulnerable groups. The 1979 Thatcher government restricted new construction of council housing and diminished the existing stock through Right to Buy. 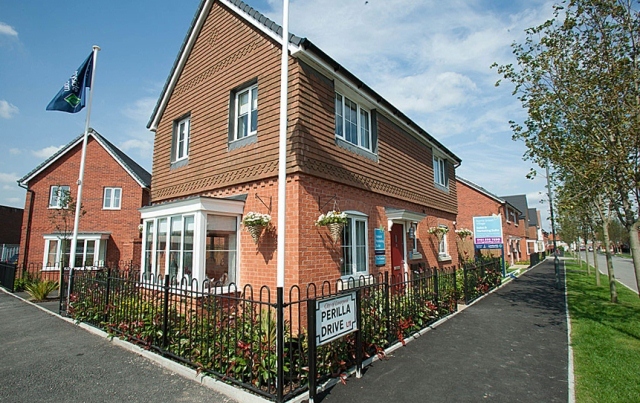 In Norris Green, one third of the houses were purchased by tenants within five years. This suggests that the Estate remained attractive to some but council housing became residual – new tenants were increasingly those in difficulty, lacking employment or stable circumstances. The decline of the Liverpool economy didn’t help matters as traditional employment opportunities plummeted. In my day the houses were given to steady respectable hard-working people who kept the property nice. Now though, the houses are given to anybody, and you can see, they are certainly not well kept. Everywhere inside the estate looks a disgrace. The houses are never painted or repaired, and the children are allowed to roam around, and do anything. Fifty years ago, mugging, vandalism, drug taking was unheard of round here, not like today. Another commented, ‘terrible types are being given the houses nowadays. I’ll leave that subject alone if you don’t mind, it upsets me so much’. 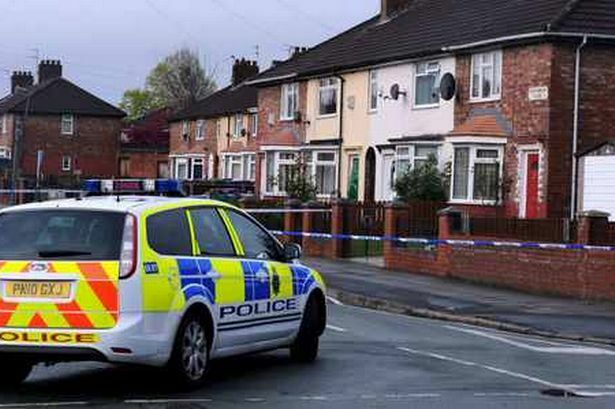 Norris Green – like many similar estates – had become (or was seen as) a ‘no-go area’ – rife with drug-dealing, gangs, car crimes and muggings. If crime was a potent factor in impoverishing its residents’ lives, fear of crime was equally so. All this would be enough to cause problems but Norris Green’s perfect storm of disadvantage was completed by the severe physical decline of the Estate. These houses were well looked after years ago. Every house was decorated inside every 7 years, every 3½ years they did the downstairs, every 3½ years the upstairs. I remember mother used to go to the Works Department to choose the wallpaper. Every 5 years the outside was done and any repairs they were there. The houses are just neglected today, look, a lot are boarded up because they can’t be bothered to repair them. A sympathetic view would suggest tight local government finances but there are those who, remembering the terrible inefficiency of the Housing Department in those days, suspect corruption. Certainly, the Council’s housing policies were short-termist. However grateful the original tenants had been for their new homes, those non-parlour homes with a downstairs bathroom were clearly no longer fit for purpose. In 1970-1971 a limited modernisation programme had taken place which installed prefabricated ‘Gilbury Units’ incorporating a bathroom, sink and WC – flat-roofed composite extensions containing one small window – to the rear of 550 houses. This solution would cause problems of its own in the years to come. 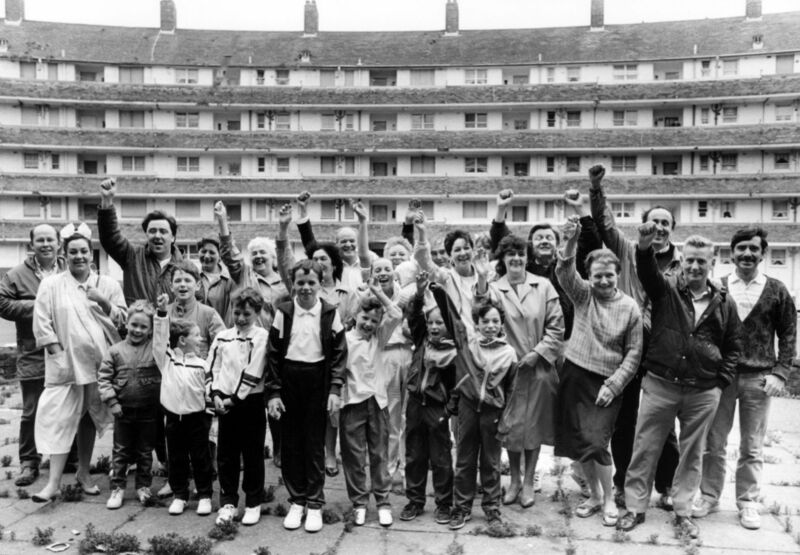 Thereafter planned maintenance was scaled down and in 1983 the Militant-controlled Labour council halted improvements to the Estate completely. These homes were progressively vacated and shuttered – a necessary measure but it did nothing to help the appearance or ‘feel’ of the Estate. Belatedly, in 1983, the City Council launched an Urban Regeneration Strategy. This, though it targeted the neighbouring Croxteth and Gillmoss Estates, did not originally address the myriad problems of Norris Green. In 1988, after intense lobbying from the two Norris Green tenants’ associations, three of the seven neighbourhoods in the Estate were declared Priority Areas. But only two-thirds of homes had been improved in the first area before the Strategy was abandoned and resources withdrawn. Here were elderly men who seemed to survive solely on Guinness, bread and marg; here were children with disability so severe that they had to live day-in, day-out in their parents’ lounge; here were old ladies who promised fervently to pray for me, simply because I was the first person they had spoken with for weeks. Here, in fact, was a land, originally designed as the vision for the future, which, by those far-off days of the early 1970s, few knew, and almost everyone had forgotten. This, thankfully, is not the end of the story – nor is it, of course, the entire story. Many residents continued to value their homes and their estate, even in these hard times. 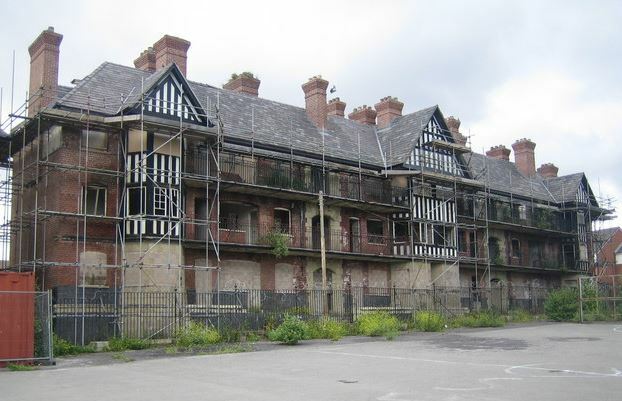 But, though regeneration can be a dirty word in the world of social housing, it was desperately needed in Norris Green. The replacement of the Gilbury Units – a poor solution from the outset – began in 1990. By 1997 all 550 had been replaced by brick-built extensions. In 1993 the Council received £27m under the Government’s Estate Action Programme. 1073 council and 723 owner-occupied houses in the Sedgemoor neighbourhood of the Estate were provided with central heating and double glazing and walls and fences were upgraded. In 1999, it was accepted that the Boot and Boswell houses should be demolished. The first tenants were ‘decanted’ in the following year and by the summer of 2006 835 of the remaining 1509 properties had been demolished. Meanwhile, in March 2002, two-thirds of Council tenants in Liverpool voted to transfer ownership of their homes to a new registered social landlord, Cobalt Housing. After this, we enter the brave new world of social housing and a fragmented nexus of housing associations, property developers, ‘affordable homes’ for purchase and smaller allocations of social housing and, frankly, the picture becomes too complex to detail. This is an exciting time for Norris Green, and the days of its notoriety as ‘the Boot Estate’ are coming to an end. These new homes demonstrate our full commitment to the neighbourhood and I’m sure they will play a key role in strengthening community confidence and driving up the quality of lives. The regeneration of Norris Green is a key strategic priority for Liverpool and the region. 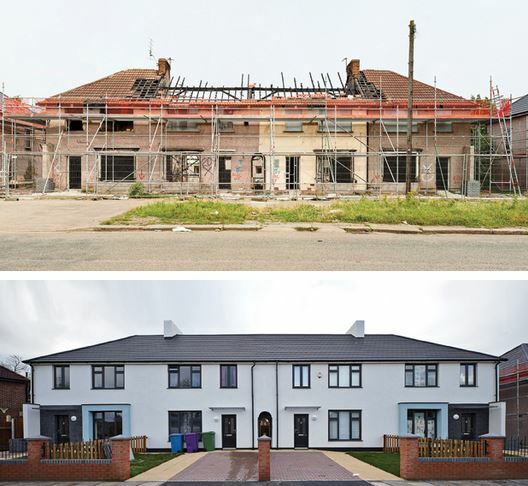 In July 2013, Liverpool City Council held a Bidders’ Day for a new ‘Strategic Housing Delivery Partner’ to provide the city with 1500 new homes and bring 1000 properties back into use. There was a time when progressive councils built themselves. These pioneers decried the inefficiency of private contractors and deplored the profits of middlemen. Common sense and principle alike were served by their insistence on housing built and let by the local state. Those days have gone and social housing today exists in a miasma of partnerships and corporate interests. I love the people in this area – everyone is dead friendly and has got a good sense of humour. If you don’t know them you can smile at them and they will smile back. It’s just a minority that cause problems. 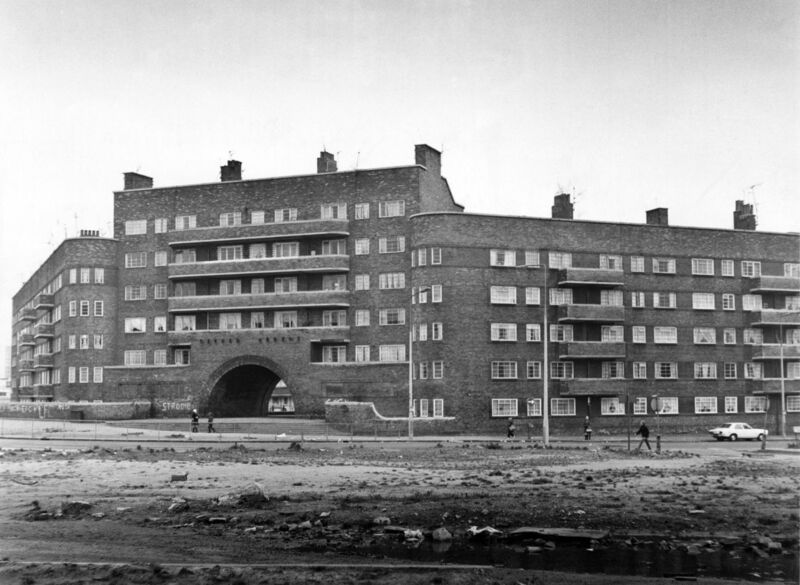 The Norris Green Estate in Liverpool has been in the wars. If you’ve read some of the press coverage over recent years, that might seem an almost literal statement but the reality is that the Estate simply represents all the hopes and fears that have been invested in social housing over the decades. It deserves to be better understood. In many ways, its story – if you’ve been following this blog – will seem typical. The Estate was born in the interwar period when central and local government shared a mission to house those we must now call ‘the hard-working people’ of Britain decently. In the post-war drive to build, the Conservative-controlled council (it would remain in Conservative hands until 1955) built 5508 houses under Addison’s 1919 Housing Act – more than any municipality in the country. But the city couldn’t rest on its laurels. In 1924, its overcrowding was three times the national average and there were 20,000 names on the council house waiting list. In October, the City Engineer John Brodie presented plans to build 5000 new homes. Lancelot Keay was appointed his chief architectural assistant and would become a high-profile Director of Housing in 1929. 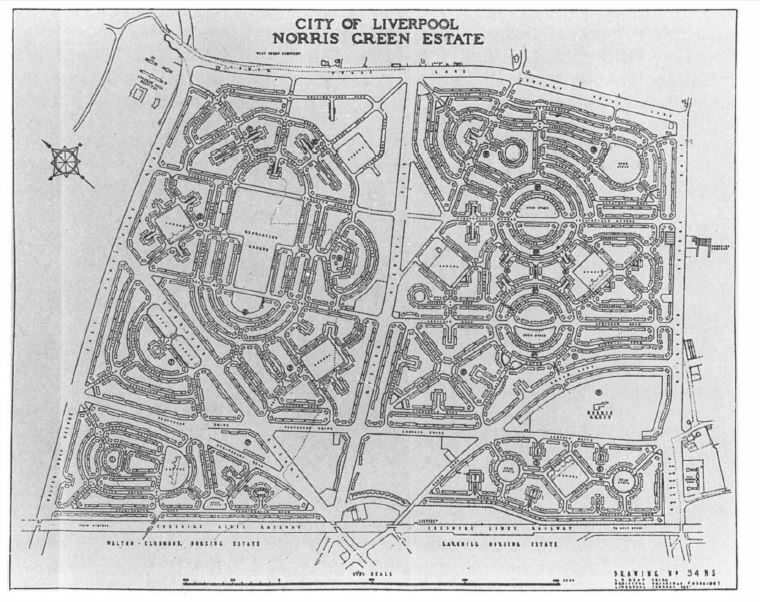 Land was purchased on the north-eastern fringe of the city – 650 acres (of which 470 lay in the neighbouring Sefton Rural District Council until incorporated into the city in 1928) which would form the new Norris Green Estate. Building began in June 1926. Within three years, the Estate contained a population of 25,000. Eventually, there were some 7689 homes housing a population of over 37,000. This was a phenomenal achievement but not without problems. The urgent rush to build left the Estate’s infrastructure severely underdeveloped for some time. Early streets were unpaved – wooden planks acted as makeshift walkways – and the first shops didn’t open – in the Broadway – until 1929. This gave Liverpool’s unofficial entrepreneurs ample opportunity and at one time it was estimated 150 shops were run – quite illegally – from homes on the Estate. There was little landscaping and a great deal of uniformity in the housing. The well-intentioned layout, which did reflect garden city ideals of circles, crescents and cul-de-sacs, only added to the confusion. The Corporation erected four illuminated signs at the entrances to the Estate to assist those who got lost. It was sinful not to build a church for the people at the same time as they built the houses. We needed communion and the confessional just as much as a roof over our heads. The Council did its bit for morality by deciding in 1926 that no public houses would be permitted on its estates though the brewers soon built large premises on their fringes which were well used. It was not all bad, however. 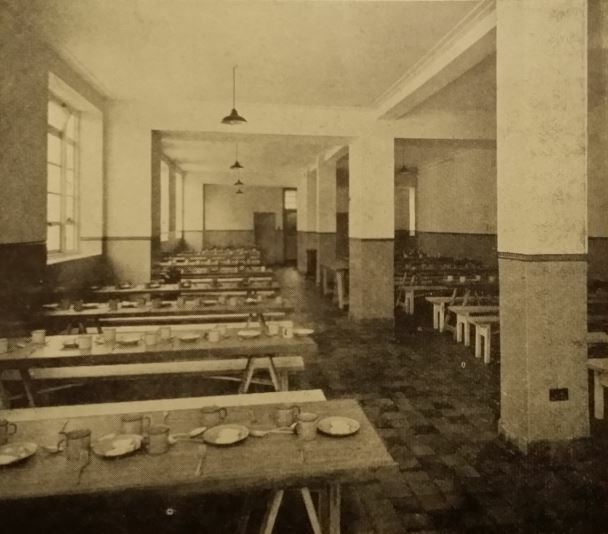 An infant welfare centre started in 1929, a temporary library in the same year, and the first public hall built on a council estate was opened in the Broadway in 1930. Public baths followed in 1936 and the tramways were finally extended into the Estate in 1938.
Who were these new tenants? Thanks to the Corporation’s tenancy cards – and Madeline McKenna’s hard work – we know pretty precisely. Almost 80 per cent of Norris Green’s heads of household belonged to the skilled or semi-skilled working class. The Council wanted tenants who could pay regularly and council rents demanded a good working-class income, the more so in these suburban estates where additional travel-to-work costs were high. But in Liverpool – a city with a large amount of casual labour and with unemployment levels reaching one third of the workforce in the 1930s – this could not be sustained. Increasingly, Norris Green and the other estates did house a less skilled and less well-off working class, particularly in the cheaper non-parlour homes. Of course, many tenants – skilled and unskilled alike – also suffered unemployment in this period. Norris Green had been alright but you had got some rather low types there, barrow women in shawls, that sort of thing. Rents, utility bills, furniture and transport costs could become unsustainable and many of McKenna’s interviewees tell of the hard times and desperate economy measures of these years. Around 40 per cent of Norris Green tenants gave up their tenancies in this period, often because they couldn’t afford them, sometimes because they missed the closer-knit communities around their former inner-city homes. There is nothing I can say I didn’t like about the district, the house or the neighbours. I have always been so happy here. My next door neighbour was a lovely person. She came from Great Homer Street and when I first saw her, I thought, oh dear, what is she going to be like. She was wearing a shawl, you see, but she tried to improve herself by asking how to say certain words and I remember when she bought her first coat, she was so proud she ran in to show me. She never wore the shawl after that. Most of the neighbours were pleasant. Our next door neighbour, Mrs Jones, they had come from Burlington Street and there were five boys and they were staunch Orange Lodge. Oh, the fights those boys used to have at first and the language but they all quietened down after a while and you know, all those boys did well, served apprenticeships. I think living among decent people pulled that type up somehow. Norris Green is the most stable and respectable of the study areas. Only a small proportion of the tenants expect to move from the area, and levels of satisfaction are high. Interest in owning is strongest in Norris Green, and levels of income, social class, and savings make it likely that a proportion of young families will leave to buy. So what did go wrong? That’s another story, to be told next week. (4) Barbara Weinberger, Liverpool Estates Survey, published 1973, quoted in Richard Harris, Peter Larkham (eds), Changing Suburbs: Foundation, Form and Function (1999). My thanks to contributors to the Yo! Liverpool forum for some of the images above. Liverpool and its politics are different and it was Liverpool’s Tories who, in 1869, built the first council housing in Europe. In fact, the Council’s sanitary reforms and house-building programme led the country before the First World War. The city’s 1842 Sanitary Act was an early, modest, attempt to improve conditions. It allowed magistrates to order landlords to clean any ‘filthy or unwholesome’ house they owned and set up a Council Health Committee. Four years later, the Liverpool Sanitary Act – ‘the first piece of comprehensive health legislation passed in England’ – made the Council responsible for drainage, paving, sewerage and cleaning. (2) It also appointed a Council Medical Officer of Health – another first. For all this, progress was slow. In 1864 it was estimated that about one fifth of the population lived in insanitary conditions – 22,000 homes, in courts, back to back, side to side, with WCs perhaps for every 12. (4) A further Sanitary Act of the same year strengthened enforcement. But the problem was not only of enforcement but of housing supply. The Council hoped initially that private developers would fill the gap. It even instructed the City Engineer to draw up a model scheme in the vain hope that a private builder might develop it. Finally, the Council resolved to build itself. It held a competition, awarded the prize and then built another scheme – one which broke the Corporation’s own bye-laws regarding the spacing and height of buildings. 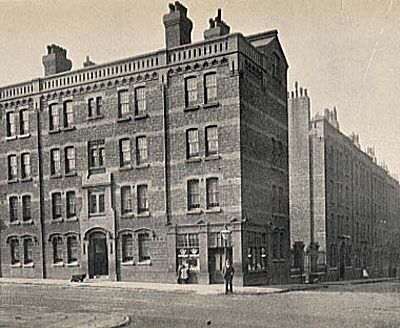 This was the inglorious origin of the St Martin’s Cottages, completed in 1869 in Ashfield Street, Vauxhall – the first council housing to be built in England. The ‘cottages’ were tenements – 146 flats and maisonettes in two four-storey blocks, brick-built with open staircases and separate WCs placed on the half-landings. The result was so bleak that even the trade magazine The Builder concluded that those who built for the poor should ‘mix a little philanthropy with their per-centage calculations’. The flats were very basic, just bedrooms and a living room with another bedroom off the ‘back-kitchen’ which was just a sink’s width and 6ft long. There was no room for a cooker, just a hob on the living room table and a coal fire and oven for cooking. In the evenings we had gas lamps. There was no bathroom but there was a toilet halfway between our floor and the one above, but each family had its own, which was something. Forwood’s Insanitary Property Committee, established in 1883, gave teeth to the 1864 Act and cleared a notorious area of slum housing in Nash Grove but what to do with those displaced? The Council still hoped that private enterprise might step up to the challenge but speculative building profits lay in the suburbs. Once more, the Council undertook to build itself on a plan devised by then City Engineer, Clement Dunscombe. The whole, built of Liverpool grey common bricks and pressed reds for window reveals with terra cotta detailing for doorways and dormers, five storeys including an attic floor set in a mansard roof, comprised 270 dwellings and housed over 1000. 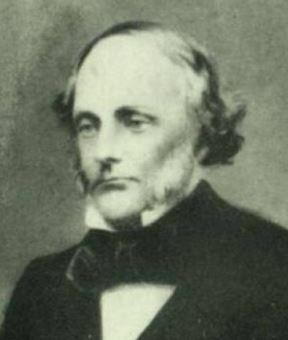 Sir Richard Cross, then Conservative Home Secretary, opened the development in 1885. Don’t look for the Dwellings now. They were partly destroyed by bombing in 1941 and, despite modernisation in the fifties – when electrics and hot water were provided – the original four blocks were reduced to two in 1961. What remained was finally demolished in the late sixties to make way for the Wallasey Tunnel. At the time, however, the scheme marked the Council’s acceptance that private builders would not provide housing for the poorer working-class and its own efforts grew. Another development followed in 1890 – adjacent to the Victoria Square Dwellings in Juvenal Street – of 371 municipal tenements. more than a suspicion that the remedy was getting worse than the disease. The people displaced went into other houses—they went into single rooms in large houses which had occupied a good position in the city at one time, they went into cellars, and it is almost certain some went into the workhouse. After much controversy, it was agreed in 1896 that all Council dwellings should be reserved exclusively to those who had been displaced – a policy which required that their rents be reduced to affordable levels. New construction continued. 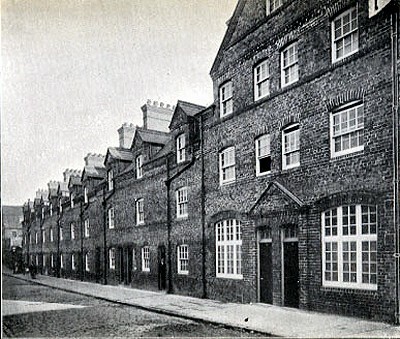 Schemes in Arley Street and Gildarts Gardens added 122 new houses in 1897. More followed in Dryden Street (1901) and Kempston, Fontenoy, Kew and Newsham Streets (1902). A Council record tells us who lived there. In one section of 309 families, 99 heads of household were dock labourers, 59 ships’ stokers, 50 general labourers, 28 mill labourers, 44 carters and 11 hawkers. At least 18 households were headed by single women listed as charwomen. These rents are as high as the tenants can afford and approximate very nearly to the rents paid by them in their former insanitary habitations. The Council continued to innovate. The Eldon Street Labourers’ Concrete Dwellings built in 1905 were, as the name implies, an early attempt to build with prefabricated concrete – from clinker slabs from the Council’s waste furnace. And Eldon Grove, three-storey blocks with bay windows, half-timbered gables and balconies, internal toilets and running hot water with open space and a bandstand to the front, opened in 1912 represents the very best of the Council’s pre-war building. 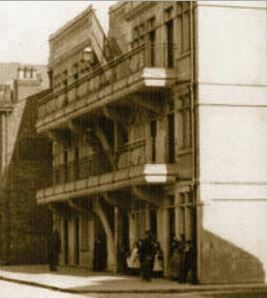 Two-storey terraces were built in Bevington Street and Summer Seat at the same time. And these latter developments survive – Eldon Grove barely. Listed Grade II in 1985, it awaits refurbishment once it can turn a profit. 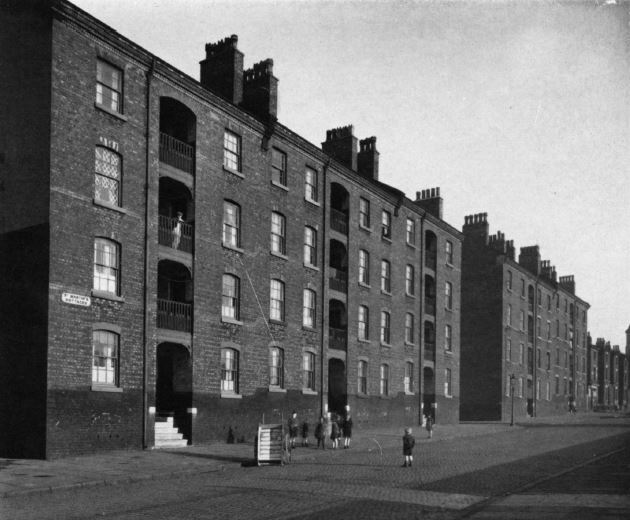 By 1914, Liverpool had built 2747 flats and houses at a cost, since 1864, of £1.16m. Of those 22,000 insanitary houses identified fifty years earlier, 2771 remained. Death rates of 60 per thousand had fallen to 28 in the redeveloped areas. There is a higher moral tone, a stronger regard for self-respect, and, above all, a greater love of home is evident in the people residing in the Corporation dwellings. In one area of slums, it was said that 202 cases of criminal drunkenness in 1894 had been reduced to four in 1912 after clearance and rehousing: ‘Wherever we go the Head Constable tells us his difficulties as regards crime are rapidly disappearing’. Mr Turton concluded that so long as people needed to live near their work – particularly pressing in the casual employment black spot of Liverpool, ‘it is as yet impossible to do what we would all like to do, namely, take these people into the outskirts’. That would be the project of the interwar years and the subject of a future post. Liverpool’s unparalleled early efforts in sanitary reform and municipal house-building are neglected. They don’t fit a conventional narrative. Reforming, sectarian, imperialist Tories don’t make easy contemporary heroes. The paternalistic ethos and ‘improving’ tone of Victorian reform sits uncomfortably now. And these early schemes were superseded, not least in Liverpool where restless redevelopment has recast the city across the decades with little regard to history. But they remain a remarkable testimony to the indispensable role of local government – once universally accepted – in raising the conditions of the people. (5) Quoted in Adam Powell, ‘All this and an inside loo’, Daily Mail, November 9 2001.